Do you like to experiment with different cooking methods in your home? While I love to cook, I am always looking for ways to either speed up the cooking process, or make it better. This also means that I experiment with some of the latest crazes online, which lead to me absolutely falling in love with my pressure cooker. Recently though, I learned about something that seemed very interesting – sous vide. The idea of slowly cooking thing in vacuum bags – more or less the reverse of pressure cooking – seemed…well, honestly, kind of odd. But I learned that many popular restaurants have been doing it for years when I was asked to review a complimentary copy of a new cookbook – Sous Vide Basics: 100+ Recipes for Perfect Results by Jay Nutt and Jennifer MacKenzie. As a kind of cooking that was entirely new to me, I couldn’t wait to get started! Sous Vide Basics: 100+ Recipes for Perfect Results: What is It? With sous vide cooking, you’ll be able to achieve restaurant-quality results with little effort and none of cooking’s usual guesswork. There are so many uses for the sous vide, well beyond steak (although steak and sous vide are a match made in culinary heaven), and it’s not just for experienced cooks. Jay and Jennifer provide all of the how-tos and whys, and in no time at all, you’ll be creating perfectly cooked sous vide meals that just might have your family and friends calling you Chef. You can cook sous vide at home for everyday meals, in your RV, on a boat or at a cottage – anywhere there is water and electricity – and you’ll definitely want to use it to simplify your meal prep and dazzle your guests when entertaining. I will freely admit, as someone who knew nothing about sous vide cooking when I opened this cook, I was pretty intimidated at first. The instructions very quickly put me at ease though since they are very easy to follow and the authors walk you through everything you need to know about sous vide cooking before you even get to actual recipes. Honestly, Sous Vide Basics: 100+ Recipes for Perfect Results is the perfect book for a beginner when it comes to teaching this method of cooking. To me, the best part is that you are learning by making delicious recipes that just about any family will love eating! If you want to dive into sous vide cooking and know very little about it walking into the experience, this is definitely the book for you! 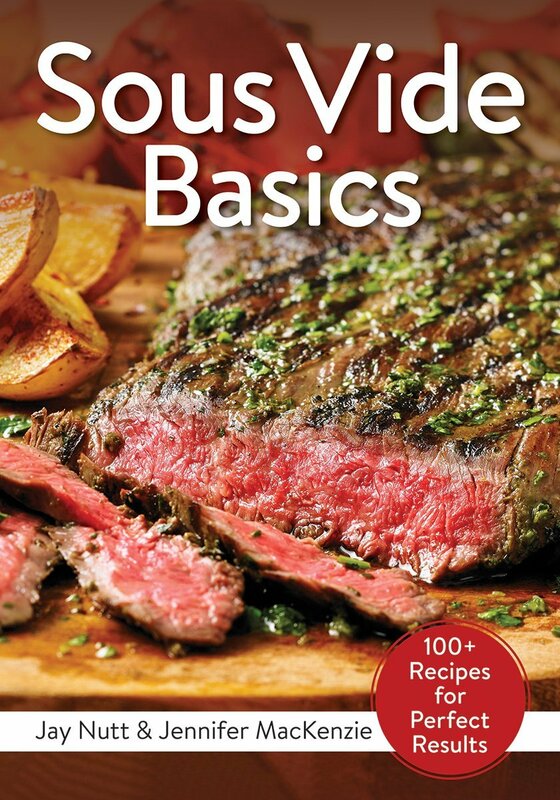 Sous Vide Basics: 100+ Recipes for Perfect Results: Where to Purchase? Want to try this book for yourself? You can find Sous Vide Basics: 100+ Recipes for Perfect Results on Amazon.com for only $19.93. Don’t forget, if you have Prime Membership (or get a 30 day free trial), you can get free two day shipping too! If you want to learn more about sous vide cooking, this is definitely the book for you! I’ve never heard of sous vide cooking either!! I’ll definitely consider getting this book. Never heard about this cookbook, will definitely check this one out. I so need this! I have a sous vide cooker, but I’ve only used it a few times because I couldn’t find recipes. I like that there are so many recipes. Lots to try out. That is a lot of recipes I had no idea there were that many. I would like to try all of them. I have been practicing trying to be a better cook. Oooh I have never heard of this!! Something I will have to look into! Sounds very interesting! !